The first four episodes of Game of Thrones Season 5 have been leaked, and I couldn’t be more upset. For good reason, too. Just like everyone else in the United States, I’ve been waiting desperately for April 12 to arrive because it means that Game of Thrones is back. But just in time for the premiere, news broke the internet that the first four episodes have been leaked online. Which means that for the price of my wait, I could get not one, but four episodes of Game of Thrones. Instead of getting excited about the idea of watching nearly half of the new season all at once, I was furious. And I won’t watch them. And, don’t get me wrong, I’m just as excited for the season to unfold as the rest of the world. And I’ve read all the books. Which means I have a pretty good idea of what’s coming anyway. But the cast and crew of hundreds — if not thousands of people — worked on Season 5 of this show so we would get a specific experience of storytelling at the end of the day. The show’s creators, cast and even George R.R. Martin, who continues as an important consultant to the show, planned each episode like a gift for fans, one that is meant to be uncovered weekly. For the best example of why this is so significant to a filmmaker and his crew, I turn to the amazing J.J. Abrams, who devoted his Ted Talk to why the storytelling process unfolding the way a creator intended is so important and significant. So while we as a website offer spoilers to our readers about television and the story lines to come, we don’t support ruining entire episodes. Because you are doing yourself a disservice. By watching the first four hours on some internet website, you are cheating yourself of the viewing experience intended by those thousands of people involved in the production. Tens of millions of dollars have been invested to ensure that you get state-of-the-art special effects, true locations rather than green screens and character arches that do the series justice. So, no, I won’t be watching the leaked episodes. And I encourage everyone else to do the same. Otherwise, the viewing experience loses its excitement and the magic box loses its enchantments. The wait is worth it, people. 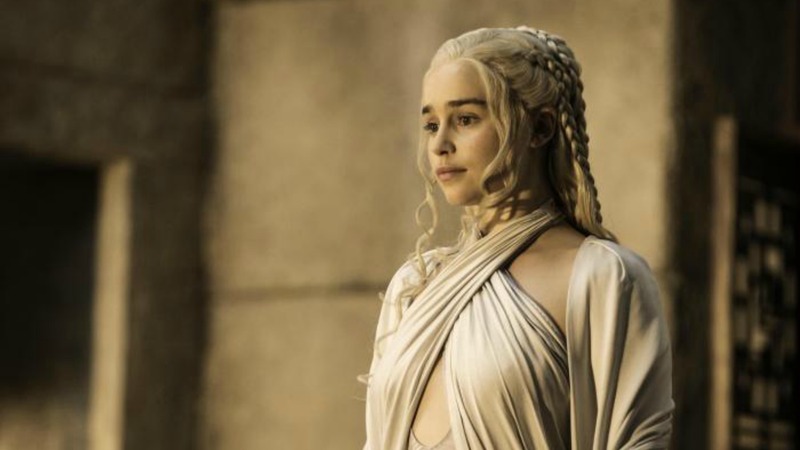 Will you be watching the Game of Thrones leaked episodes?